Everyone say hello to my brand new camouflage jeans! I've been dying to get my hands on a pair ever since I featured my eyes on the gorgeous Jules from SincerelyJules.com sporting a pair. (What doesn't look good on that girl!?) So when the lovely Helen from So In Fashion got in contact and asked me if I would like to pick an item to feature I knew exactly what that item would be! 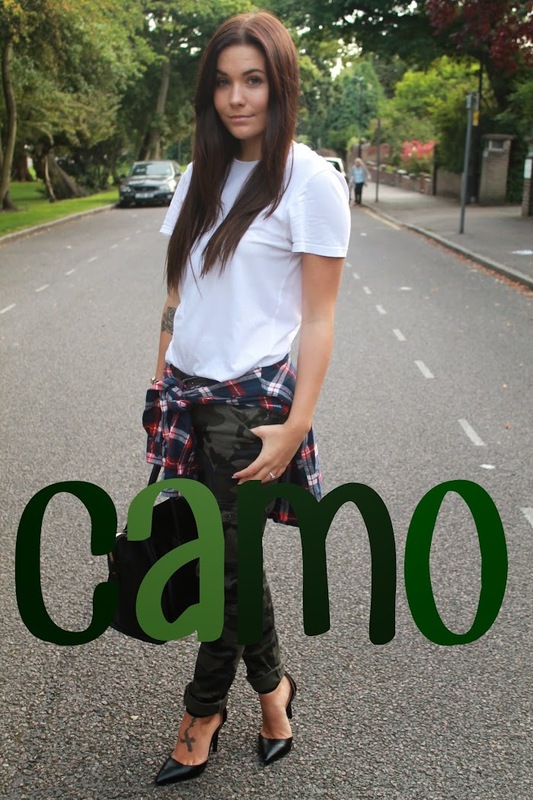 Instantly I knew how I would style these camouflage jeans; simple, yet statement. I wanted to spice things up and add a few different prints to the outfit and camo and plaid look SO good together! I've teamed this look with a basic white tee and a pair of black pointed heels to give this outfit an off effortless feel. This is the kind of outfit I could just chuck on and go! P.S I'm going to start featuring hauls on my blog soon (as I buy WAY too much) so please do let me know if there's a way you would like to see it be it Youtube, Images etc! Love this outfit looks great with that simple white tee. Yes I'd love to see your hauls! Via youtube pleaseeee! 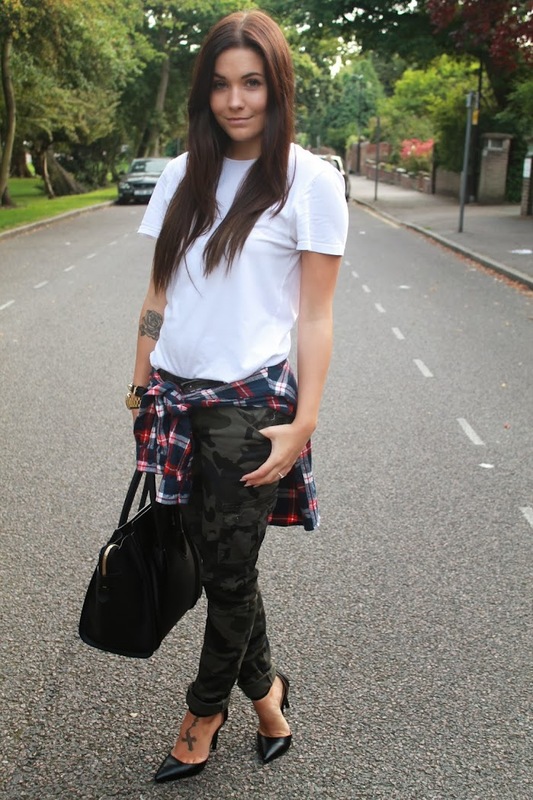 Love the mix of the plaid and the camo Hannah - you have seriously amazing style you babe! great outfit!! That Celine is beautiful and the heels are perfection :D Love your tattoos too!